Chocolate Me! is a picture book about differences and how they can be celebrated if seen in the right light. 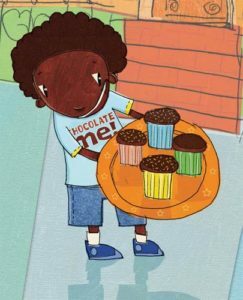 Chocolate Me is a little boy who wonders about all the ways he is different from his white friends, Timmy, Johnny and Mark who, with their ‘normal’ names, straight hair, and fair complexions make Chocolate Me feel like he is all kinds of wrong. 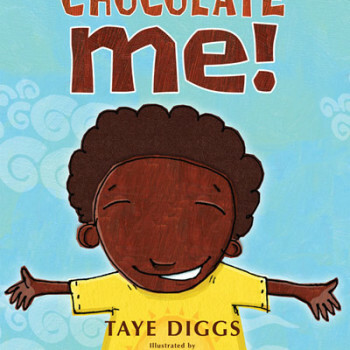 The story is loosely based on actor Taye Digg’s experiences growing up and the rhyming text, heartfelt words and gorgeous illustrations by the very talented Shane W Evans make this a very cool and real book to share with young children. Do be aware however that this is a big issue and although it’s dealt with in a light hearted manner, be sensitive to its effect on young readers. 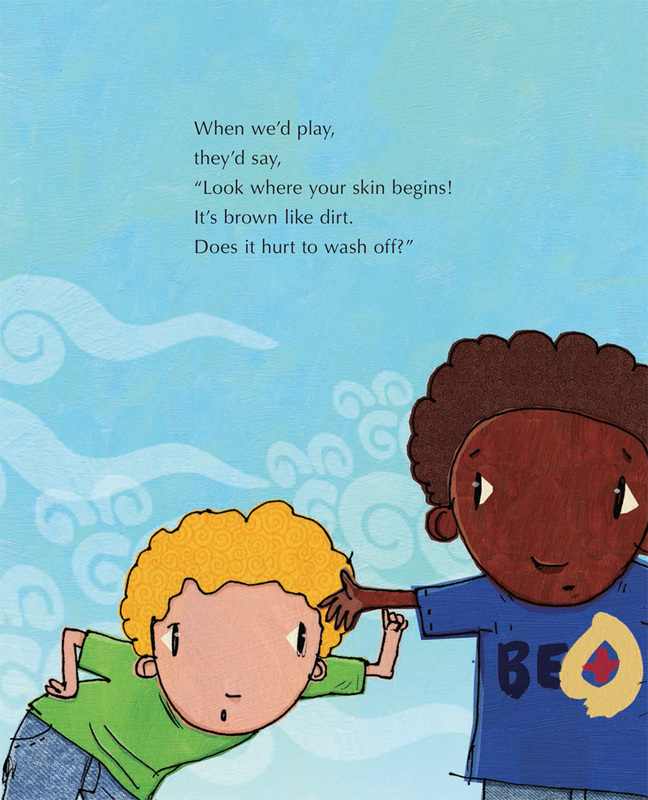 The little boy talks about brown skin looking like dirt, his nose being big and wide and his hair looking like he is always scared. It feels racist to say these things and they play into racial stereotypes that children may not have even thought of. You need to read this to your children and talk it through – using it as a springboard for discussions into what appearances mean, how this can be applied to all sorts of different-looking kids – from tall and short to overweight and skinny, white, black, asian, disabled etc. Evans recently came out to South Africa and we got to meet him and learn about the inspirational ways he works and interacts with children. He is illustrator of more than thirty picture books for children, including The Way a Door Closes by Hope Anita Smith, a Coretta Scott King/John Steptoe Award winner, and the author and illustrator of Olu’s Dream. Using music and rhyme, Evans has an infectious and happy energy that talks to children and adults. Find out more about his creative projects here. Categories: 4-6, Diversity, Family and Self, Parenting, and Picture Book. Tags: differences, diversity, Racism, self acceptance, Shane W Evans, skin colour, and Taye Diggs.